I know that all of a sudden, BAM, it’s going to get hot here in NYC. Other places in the US are already experiencing scorching temperatures. I am going to be ready this year. And at the top of my list of must-haves to get me through it. Coconuts Cool! Coconuts Rule! I love coconuts! From coconut water to coconut ice cream, there’s something about them that’s synonymous with hot weather. As always, Mother Nature has provided a good reason. Ayurveda classifies coconuts as a cooling food (a fruit, botanically speaking). So eating/drinking coconut and its liquid is pure gold for people with Pitta dosha, especially during Pitta Season. Vatas can feel free to enjoy them also during the hot summer months, but coconuts are generally on the avoid list for Kaphas, so be prudent if you do indulge. Coconut water is a natural source of electrolytes and low on the glycemic index. 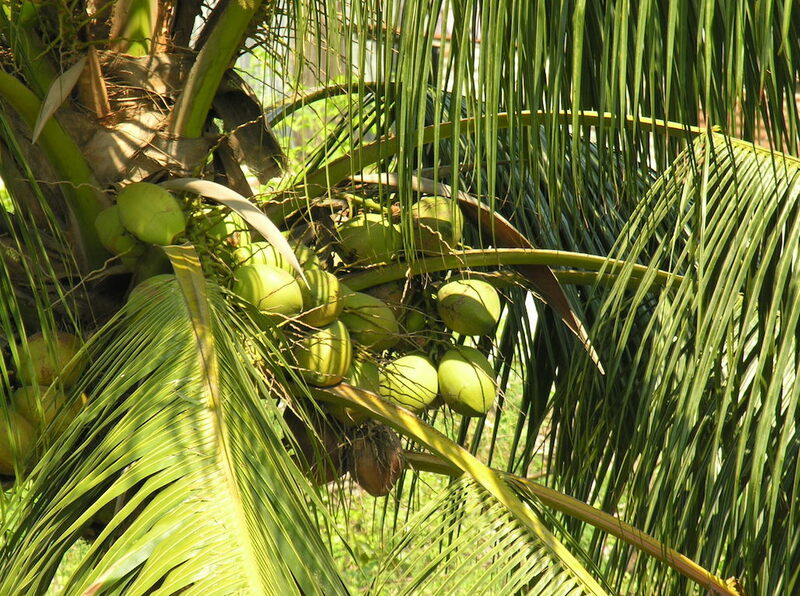 I have had a few unlucky incidences of heat exhaustion when coconut water pulled me through. It’s a much better choice than sugar-laden sports drinks, and I always keep a bottle with me now when I’m biking in the summer. There are lots of options available, as coconut water has become a bit of a trend. 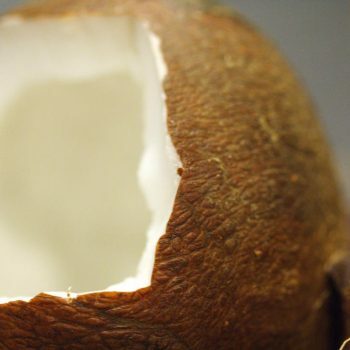 Of course, the healthiest and most effective choice comes straight from the coconut. But unless I’m vacationing in the Caribbean or biking through Chinatown where they’re piled high in front of the bodegas (they lop the top off the coconut and stick a straw in it), I don’t always have the real thing handy. Many of the coconut waters in the store have been ultra-pasteurized, thereby eliminating valuable nutrients. I love the 100% Raw Coconut Water made by Harmless Harvest. It’s processed in a unique way to retain the nutrients without compromising on food safety, and it tastes like the real thing. Coconut milk makes a wonderful substitute for people who don’t drink cow’s milk and it’s a great addition to curries, stir fry and smoothie recipes. Avoid using the canned coconut milk you find in the store if possible–many of them have unnecessary added ingredients and are often in BPA-lined cans. And then there’s coconut oil. There are umpteen healthy uses for coconut oil. First off, be sure to buy virgin unrefined oil. I have tried many different brands but my favorite is from Tropical Traditions. Get on their mailing list because they are always offering coupons (two for one) and free shipping. There are lots of recipes out there if you want to get fancy. Here’s one you can try. Or do like I do and just dab a tiny bit under each arm and you’re good to go. Another option is just clean baby powder (non-talc) or baking soda with a drop or two of your favorite essential oil. My personal choice is peppermint for its cooling properties. I use coconut oil daily during the summer months to protect and moisturize my skin. If you’ve ever heard the statement “Don’t put something on your body that you wouldn’t put in your mouth”– this is a perfect example. You can use coconut oil to shave your legs or even as a deodorant (it’s antibacterial). Use it alone or add a drop of an essential oil like peppermint, lavender or tea tree. (Note: Don’t use essential oils on freshly shaven underarms.) You can rub coconut oil on your skin either before or after your shower. A little goes a long way and you will not feel greasy afterwards. Just give it a few minutes to absorb before dressing. I find that using coconut oil on a daily basis gently tans my skin without burning or peeling and keeps it smooth. 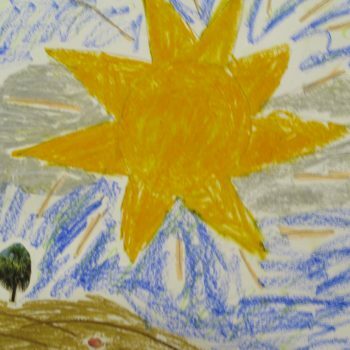 Plus, I still absorb Vitamin D from the sun which has so many necessary health benefits. Many traditional sunscreens are laden with chemicals (Would you eat your sunscreen?) and block any absorption of Vitamin D. For additional sun protection, try adding a few drops of frankincense, myrrh and/or lavender essential oils to your coconut oil. My essential oils of choice are by Young Living. If you are interested in any of the oils, feel free to use my member #1295580 to sign up and receive them at wholesale price! And feel free to contact me with any questions. So, enjoy coconut in whatever form you like this summer–especially when your Pitta is on fire. Watch for my summer newsletter where I will include more tips on staying cool and balanced. 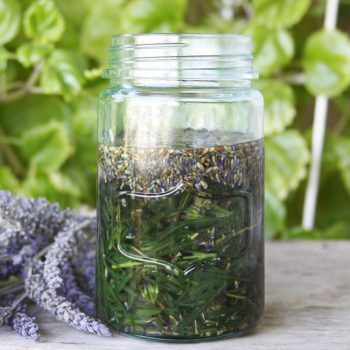 In the meantime, enjoy this audio on essential oils for summer by my good friend Pamela Rich and her colleague Christi Collins. And I would love to hear about some of your favorite uses of coconut in the comment section below! P.S. My latest use for coconut oil is to clean and preserve my wooden cutting board. Coconut oil is anti-viral, anti-bacterial and anti-fungal! Yay for coconut oil! Great post, Barbara, as usual. My favorite use is a dollop in my oatmeal, along with the walnuts and almonds and raisins and flax meal and plain yogurt on top. I eat this all year when I’m home. Being so Vata I don’t like cold food and oatmeal is so soothing and nurturing to me! The coconut oil adds a slightly sweet taste, making this like a dessert. It’s like hot apple pie to me. Thanks! Love you, Lady!